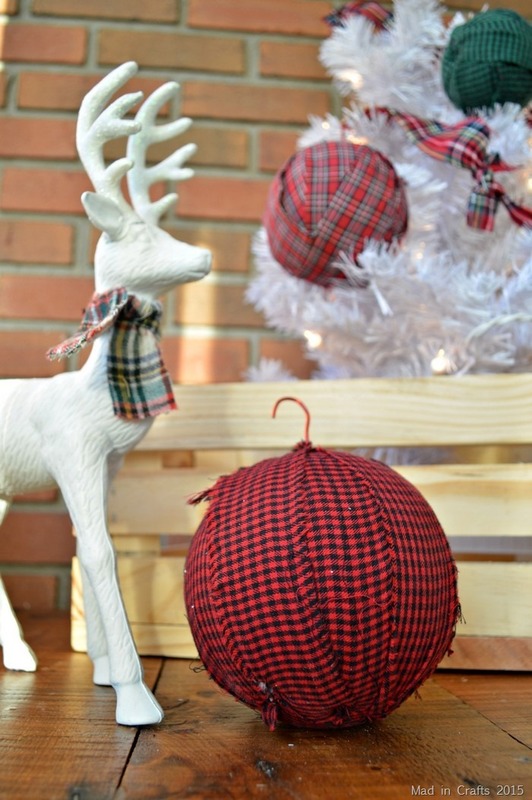 Some bloggers change up their Christmas decorations every single year. Me? 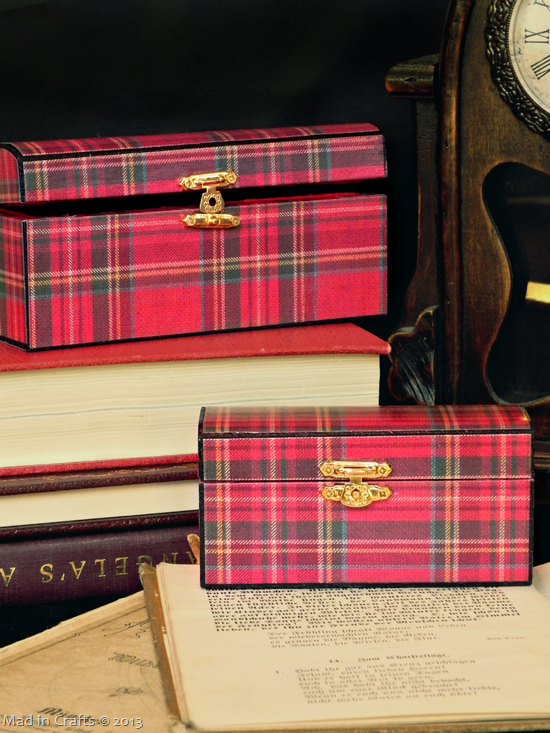 I’m just over here making more plaid things. 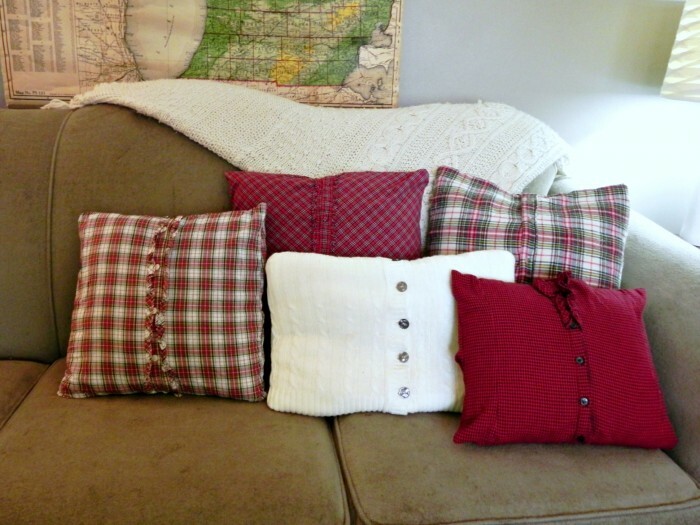 I am a sucker for plaid year round, but fall and winter call for cozy flannels in red and greens. 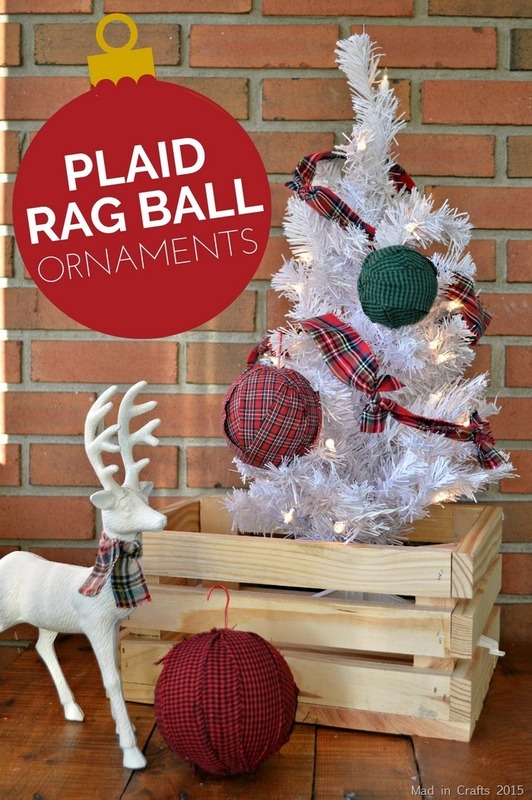 Today, I am sharing a variation of the rag ball project I shared two years ago. 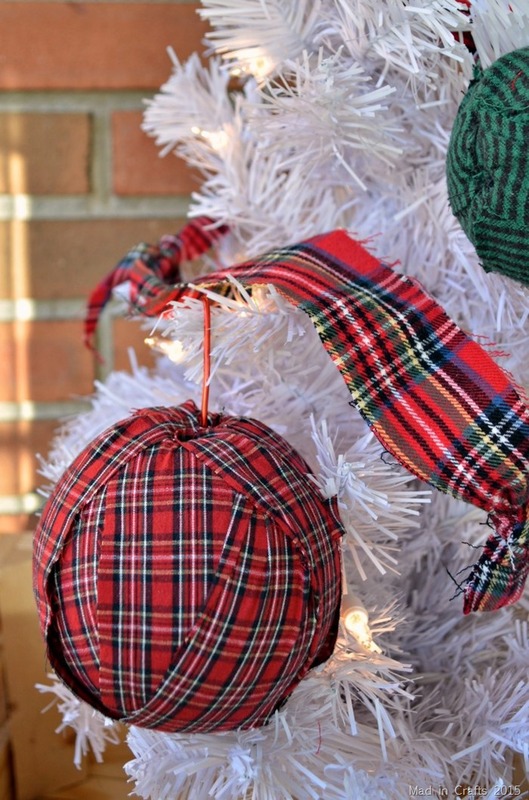 These rag ball ornaments are so simple to make, you can bust several of them out in no time. I am in participating in another round of holiday Craft Lightning this year. All the projects shared this week can be made in 15 minutes or less! 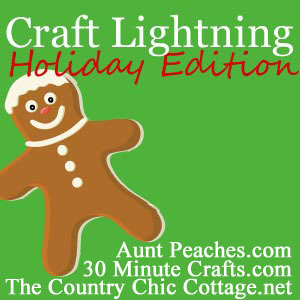 This month’s Craft Lightning is being hosted by Aunt Peaches, as well as 30 Minute Crafts and The Country Chic Cottage. Be sure to visit them all to avoid missing any great ideas. Let’s talk materials. 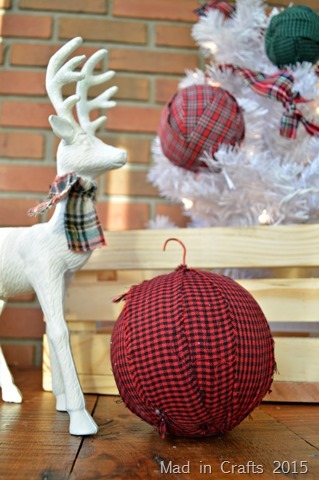 You can use whatever size foam ball works best for your Christmas decorations. 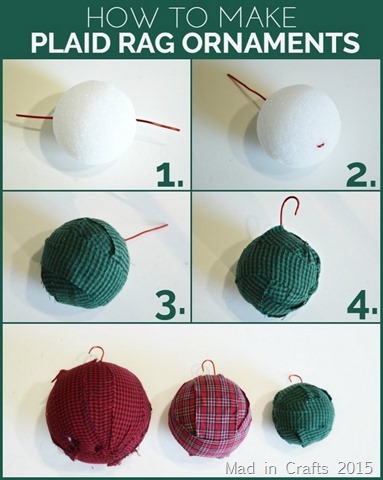 I chose to make ornaments in three different sizes, just for experimentation’s sake. 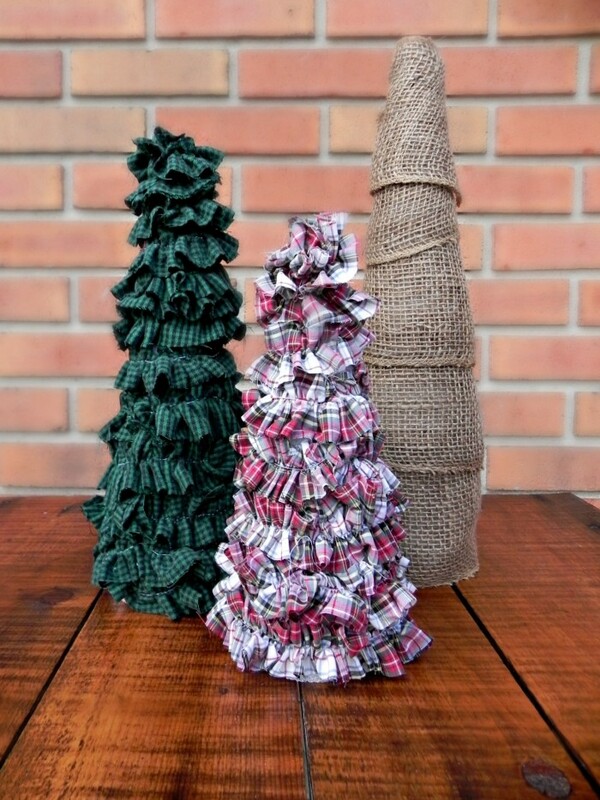 I had flannel scrap left from all the plaid shirt crafts that I made two years ago, but you can either buy and cut plaid fabric into strips or find some flannels at the thrift store. The strips should be 1″-2″ in width; lengths can vary. I found this floral wire at Dollar Tree, but you can use just about any floral wire you might have. Cut a length of floral wire that is two inches longer than the diameter of the foam ball. Pierce the wire through the center of the ball. Secure the wire in place by curling one end of the wire back on itself and then pulling the wire taut from the other end. 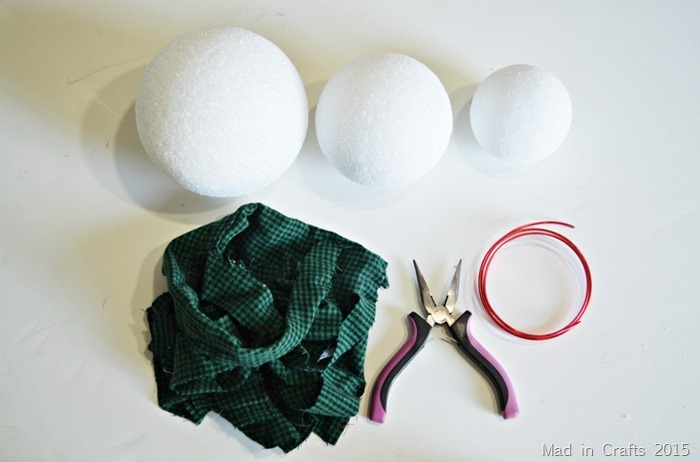 Wrap the ball with fabric scraps, using the pliers or a dowel to push the ends of the fabric into the foam. Check out this post for more details. Curl the end of the wire into a hook shape. 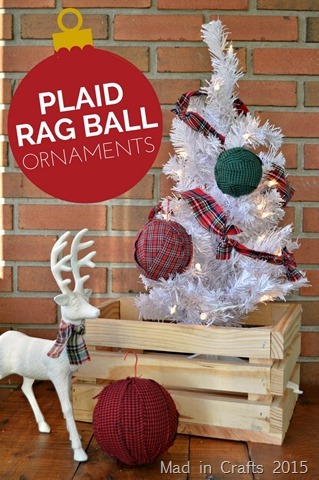 Now you have on-trend, rustic Christmas ornaments! Not only are they quick and easy to make, they are very light so you can hang them almost anywhere. You can use the larger size outdoors or on bannister garland. The smaller ones are great for trees and floral arrangements. Be sure to visit the Craft Lightning hosts this week for recaps of all the 15 minutes projects that are being shared. For more plaid Christmas DIYs, check out the links below. You have me on the plaid train this year!